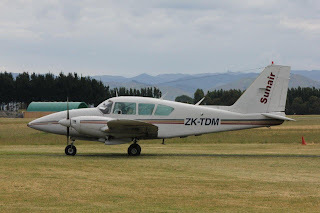 Thanks to some new information received I have corrected the post on Air Chathams' Metroliner operations. 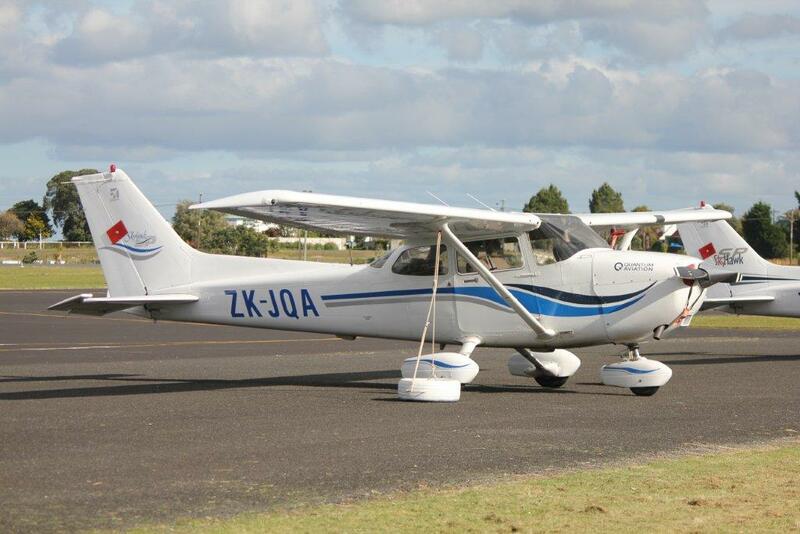 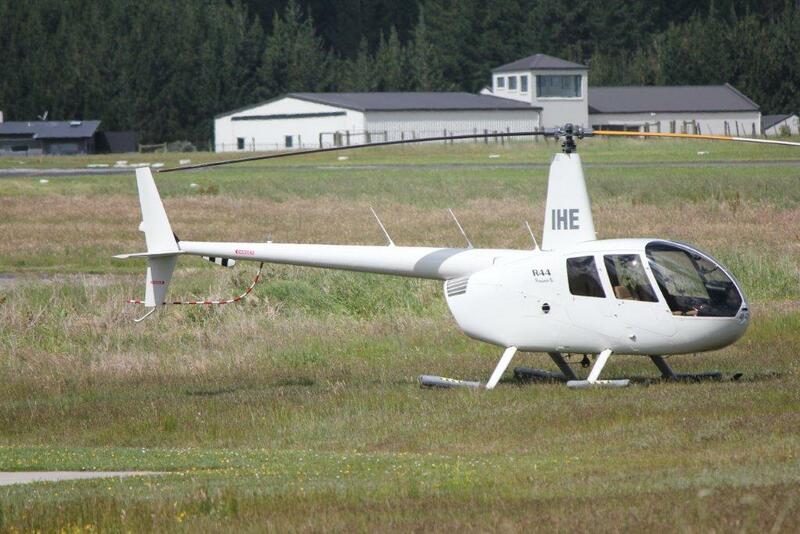 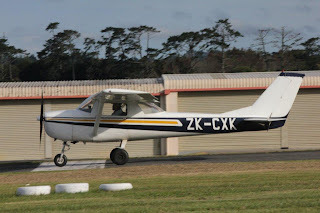 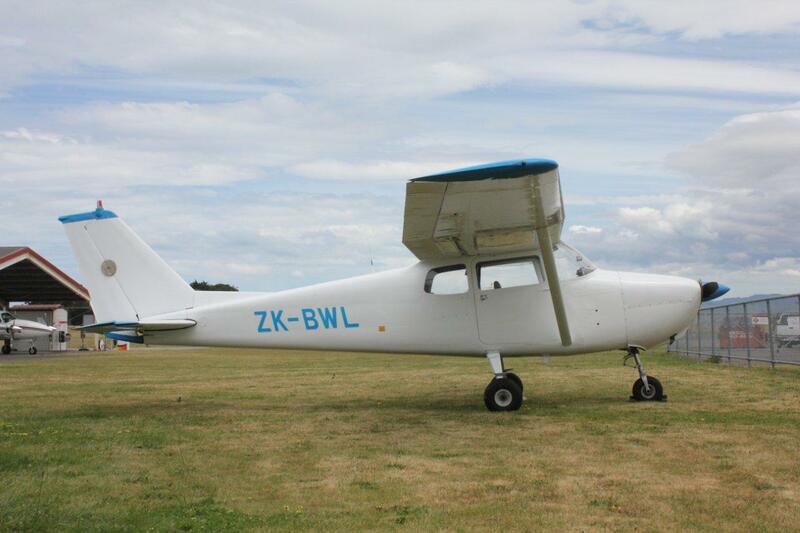 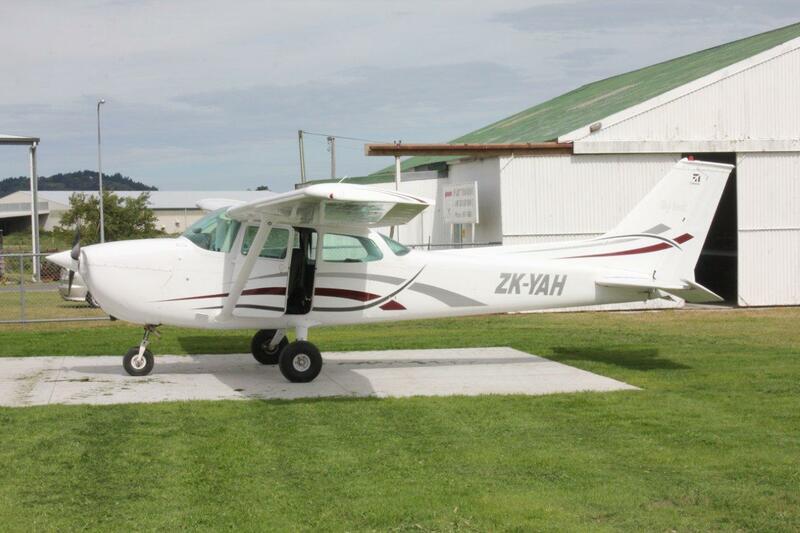 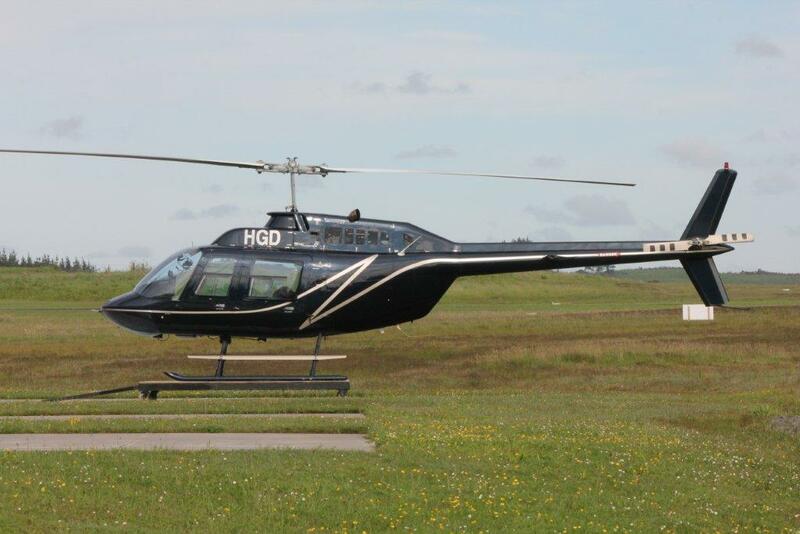 The Auckland Aero Club has had two forays into Northland. 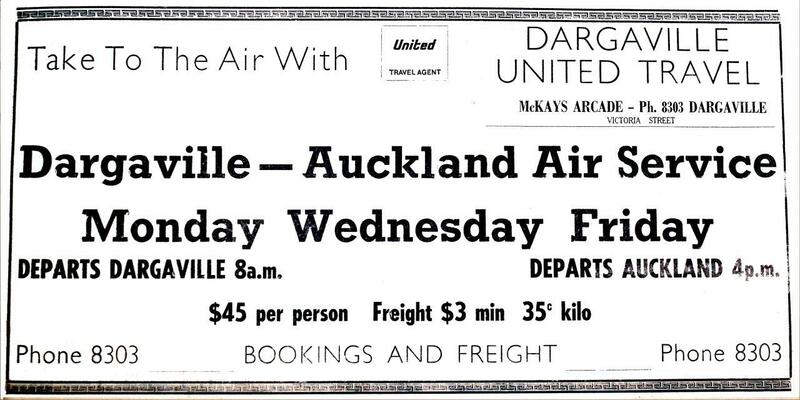 In 1957 it introduced a short-lived air service between Auckland and Dargaville. 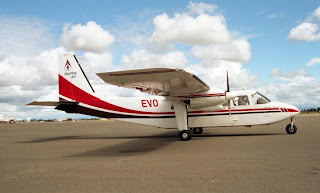 In 1975 the Auckland Aero Club rebranded its commercial division as New Zealand Air Charter, the move partly motivated to promote the charter and air taxi operation more as a professional operation as to the perception of the being an aero club sideline. 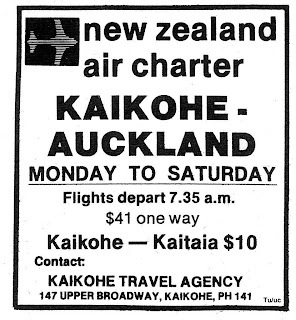 In 1978 New Zealand Air Charter commenced air services to Kaikohe. The catalyst for New Zealand Air Charter’s entry into Northland was the abrupt cessation of Nationwide Air’s services in mid-October 1978. 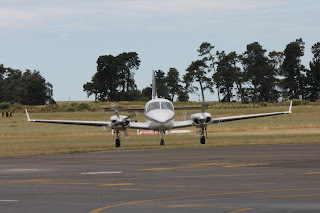 Nationwide Air hired NZ Air Charter to provide a plane and a pilot on NZ Air Charter’s air taxi licence to ensure that the Auckland-Kaikohe service continued, but to all intentional purposes NZ Air Charter was operating the service and they made no secret that they were keen to make this arrangement permanent. Don McKellow, New Zealand Air Charter’s operations manager told the Northern News that, "We're quite happy with the Kaikohe route. We want to keep it going and we want to give the travelling public the, confidence of having a well-run, regular scheduled service between the mid-north and Auckland. 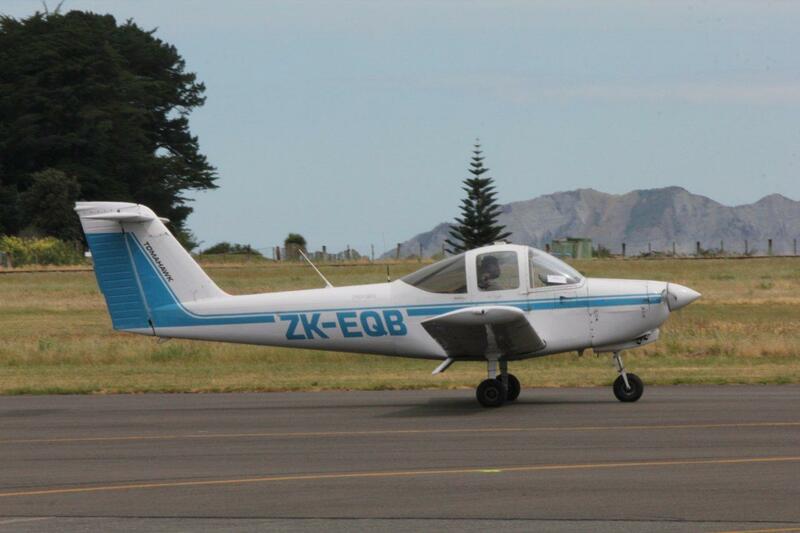 We know there has been a lack of confidence in the Kaikohe air service in the past because of the different operators," he said, "but we want to restore confidence in the route and we will listen to any suggestion from the public as to how the service can be improved by altering the timetables or whatever." 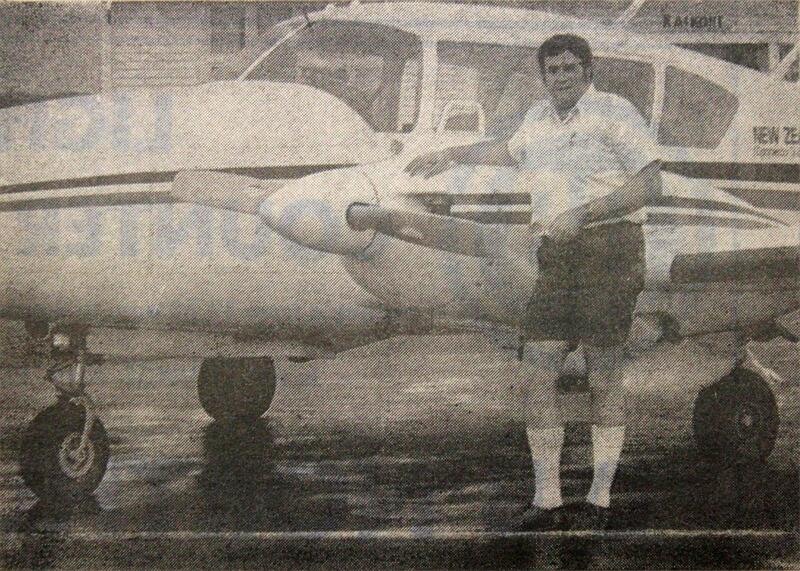 Mr Don McKellow with one of the NZ Air Charter's Piper Aztecs at Kaikohe. 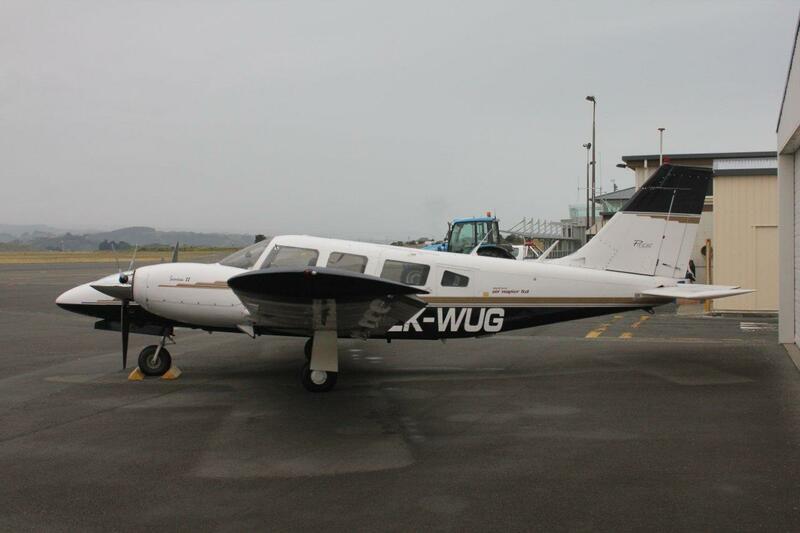 NZ Air Charter's Piper Aztec ZK-DJG at Wellington. 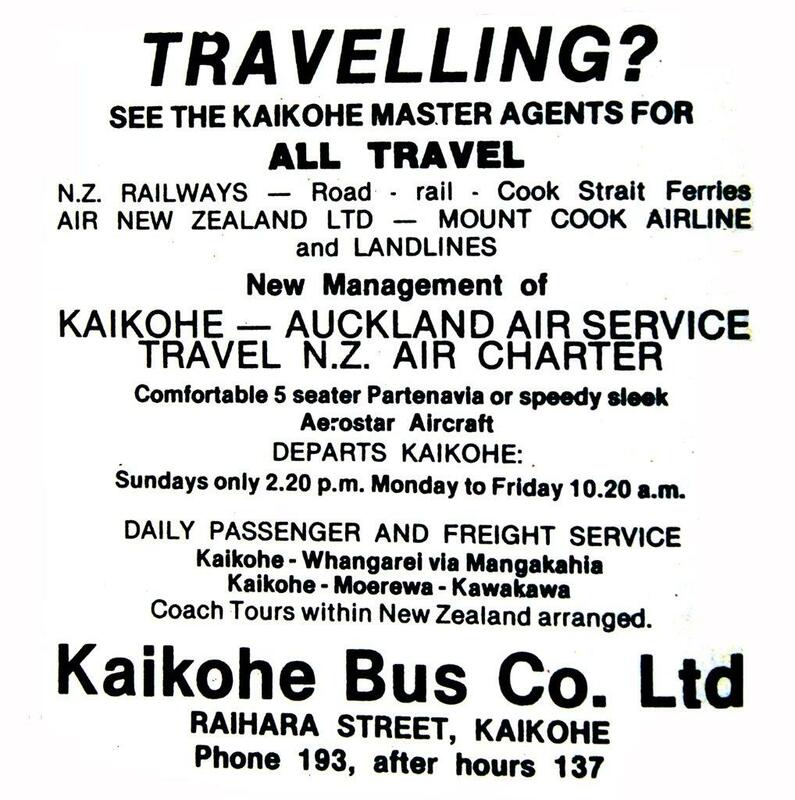 The Kaikohe service was at this stage a lean operation. 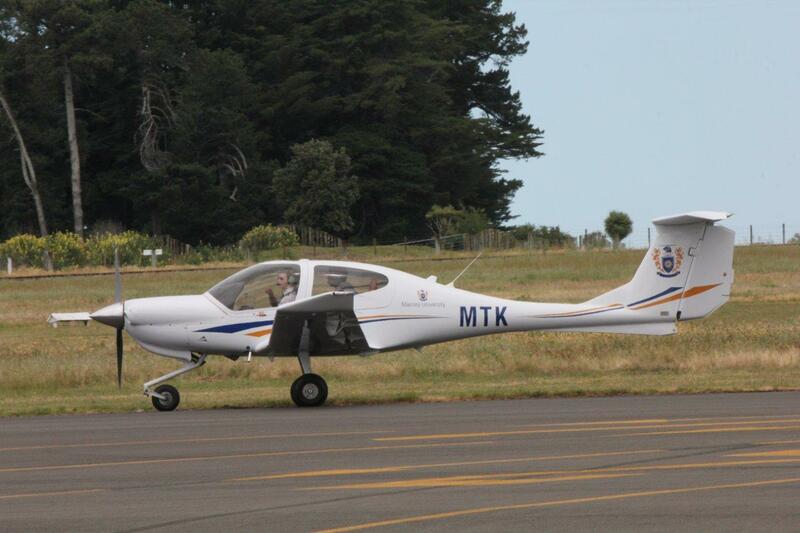 Mr Colin Finnerty, the local agent for the air service, had warned locals that “Kaikohe is in real danger of losing its scheduled airline link with Auckland unless traffic increases. 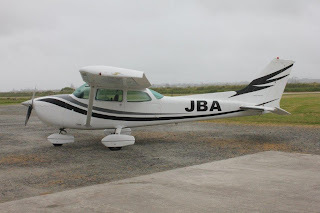 Personally I believe this air service is of vital importance to the district, but it will be lost unless it is used more by the public." 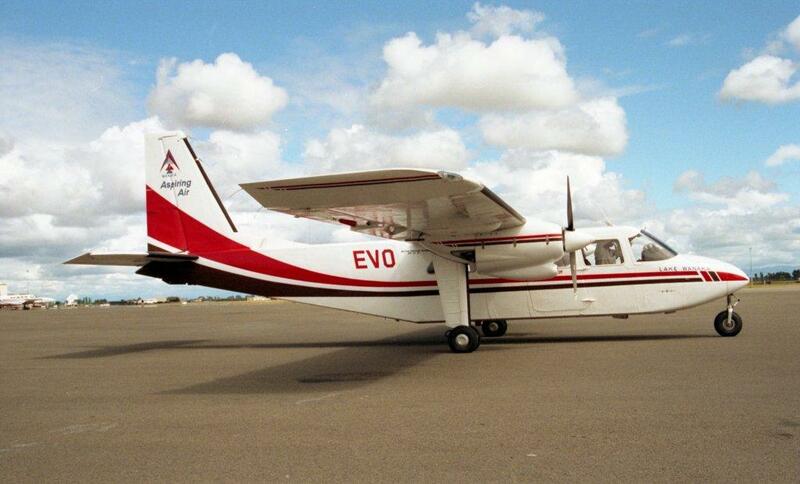 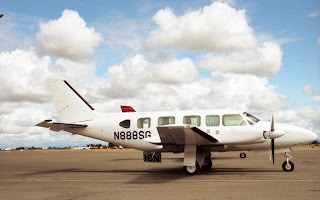 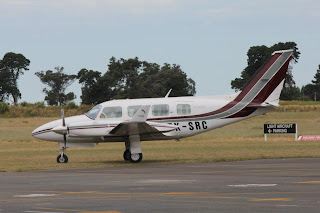 Initially New Zealand Air Charter operated the Sunday to Friday service with twin-engine Piper Aztecs on the route, but their intention was to introduce a six-seat Partenavia once the licensing issues were resolved. 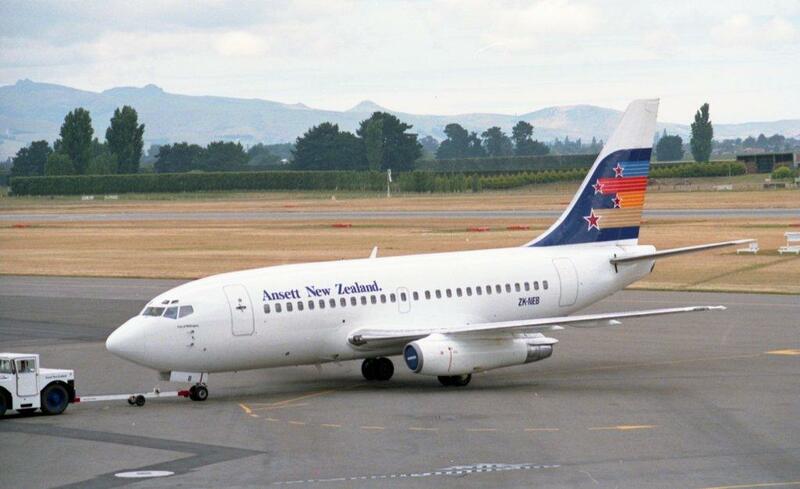 In March 1979 NZ Air Charter were granted a licence to run the air service permanently. 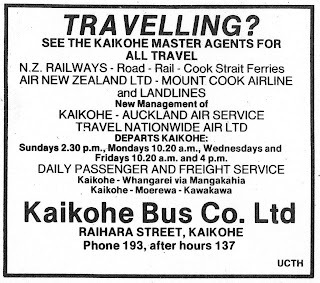 The six day a week service did not last long, however, as in May 1979 Government restrictions on fuel and disappointing passenger loadings resulted in the service being cut back to four days a week, operating on Mondays, Wednesdays, Fridays and Sundays. 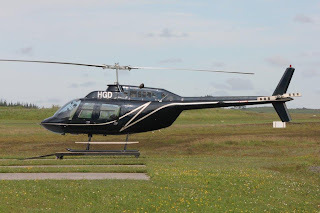 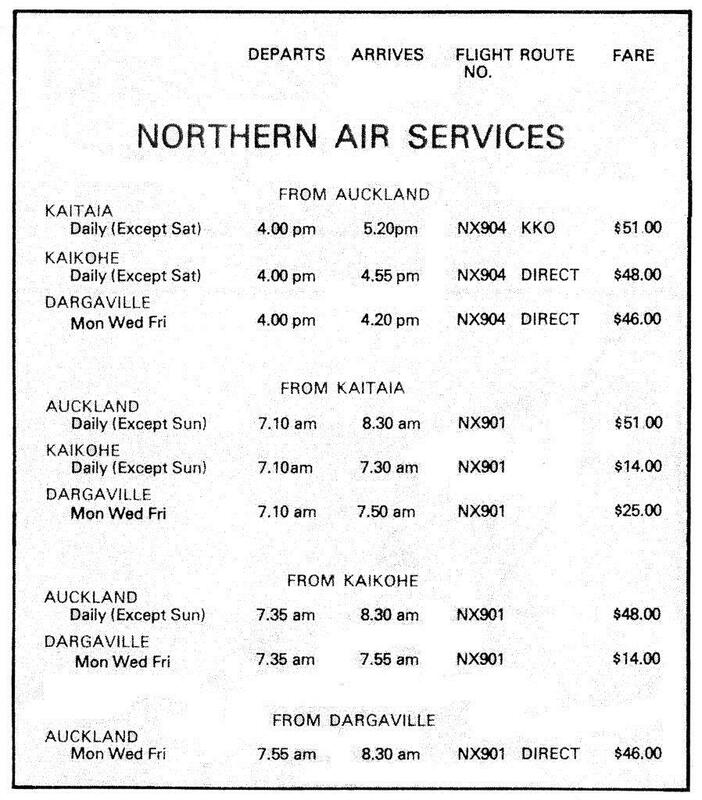 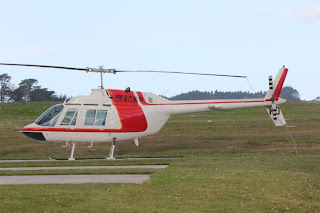 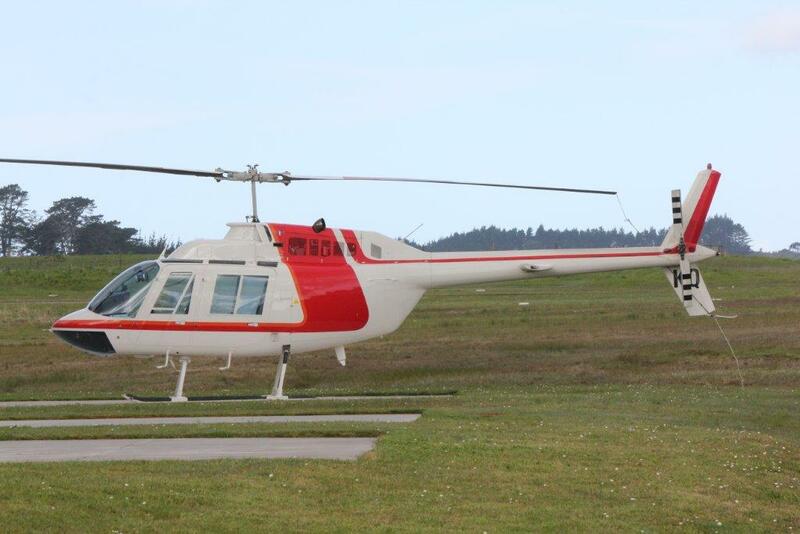 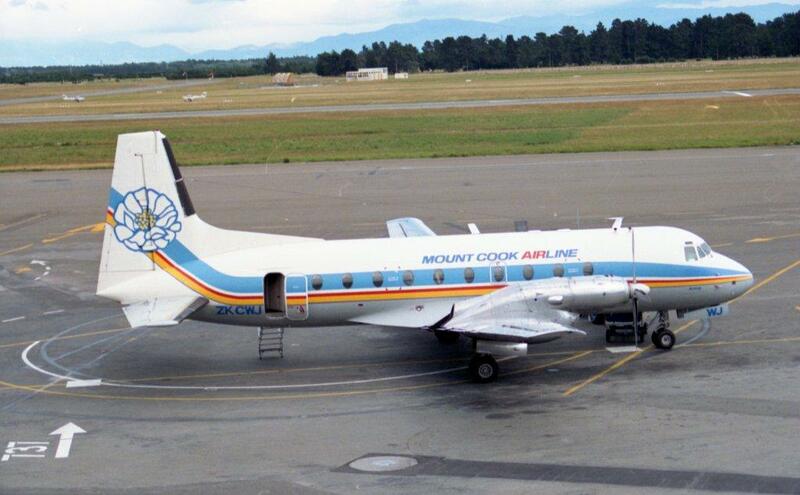 From Monday the 25th of June 1979 the service was again increased to a six day week, Sunday to Friday service with the flights extended north from Kaikohe to Kaitaia with the northern sector to Kaitaia operating as an air taxi service. 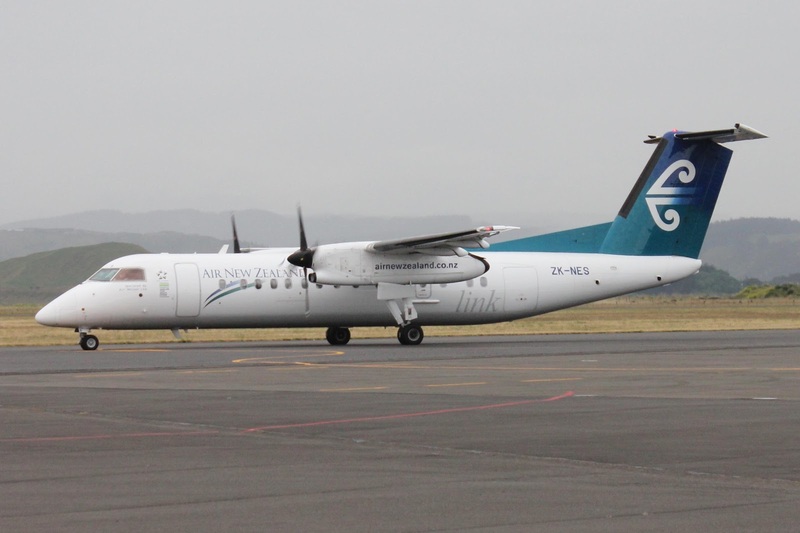 The service was timed to connect with the first Boeing flight arriving in Auckland from Wellington. 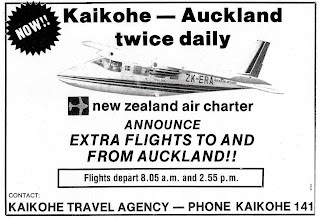 The NZ Air Charter flight would leave Auckland at 8.00 a.m. arriving at Kaikohe at 8.55 a.m and Kaitaia at 9.30 a.m. 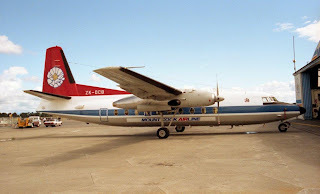 The return flight left Kaikohe at 10.20 a.m. and arrived in Auckland at 11.15 a.m. At this time NZ Air Charter's flights were operated by twin-engined Partenavias, ZK-ERA and ZK-LAL or Aerostar ZK-WAS but the airline was hopeful that it would be able to expand to a 12-seater Nomad. 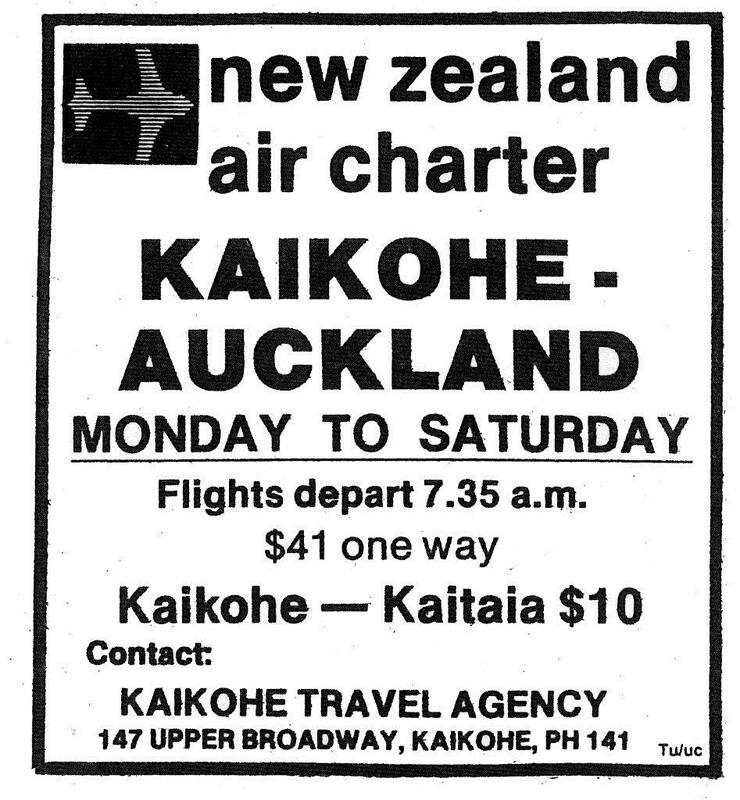 The end of 1979 saw an increase in frequency with two flights a day being offered from Auckland to Kaikohe and Kaitaia. 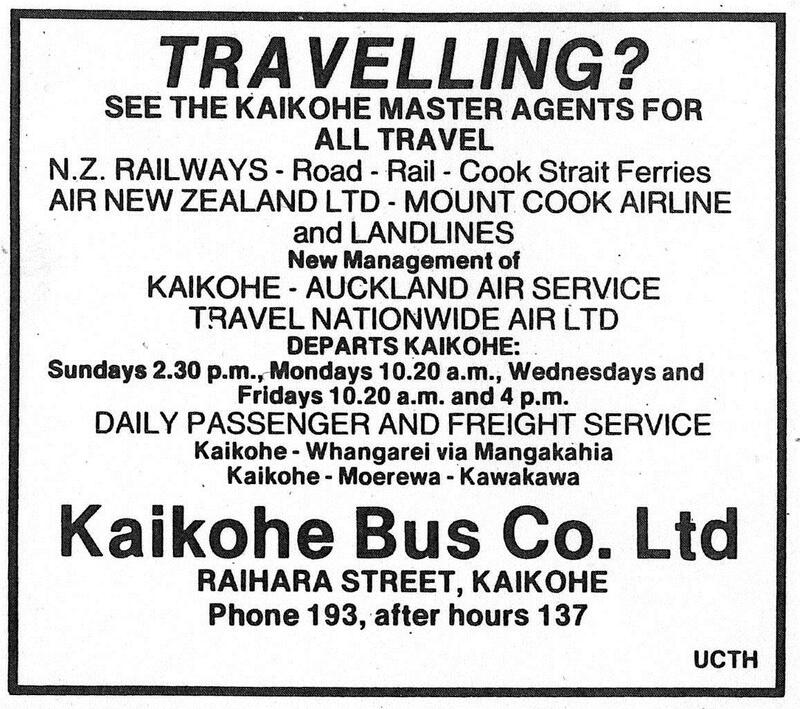 This timetable started on the 14th of December 1979 and they operated until June 1980. 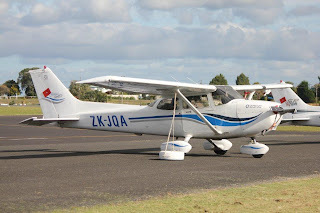 The plane in the ad... Partenavia P68B ZK-ERA a long way from home. Photo taken at Christchurch in March 1980. 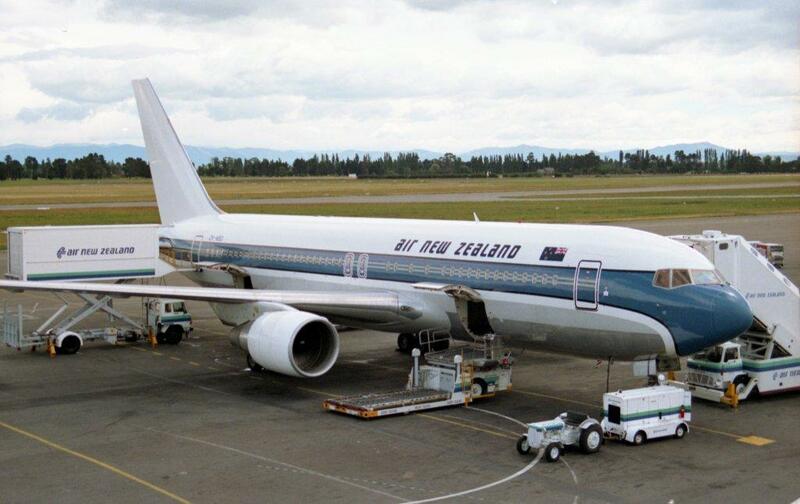 NZ Air Charter was careful to offer a complementary service to Air New Zealand rather than enter into direct competition with the national carrier. Kaikohe and Kaitaia Airports had no runway lighting and the earlier hours of darkness during winter meant that the afternoon service from Kaitaia ran at a time too close to Air New Zealand's departure time, hence the reduction to a single service. 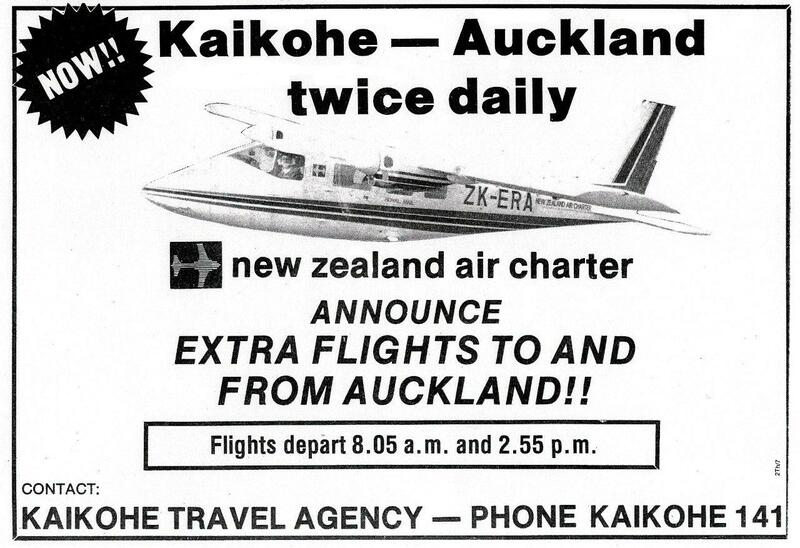 On the 27th of October 1980 Air New Zealand withdrew its services to Kaitaia on Tuesdays, Thursdays and Saturdays. 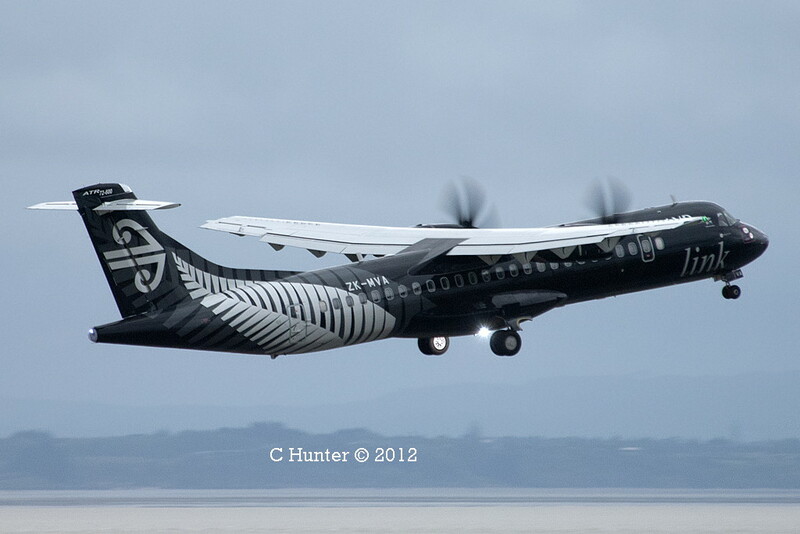 NZ Air Charter felt that further withdrawals were likely, thus making the Auckland-Kaitaia route quite attractive. It was quite surprising then, when on the 27th of November 1980 the Northern News carried the news that the New Zealand Air Charter division of the Auckland Aero Club was interested in selling the service - lock, stock and aircraft at a price tag of $180,000. 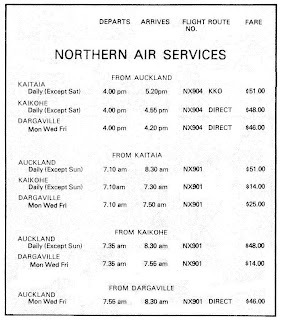 On the 1st of May 1981, following the opening of the new airfield, Dargaville was included as an on-demand pick up or drop off point on the service to the northern towns on Mondays, Wednesdays and Fridays. 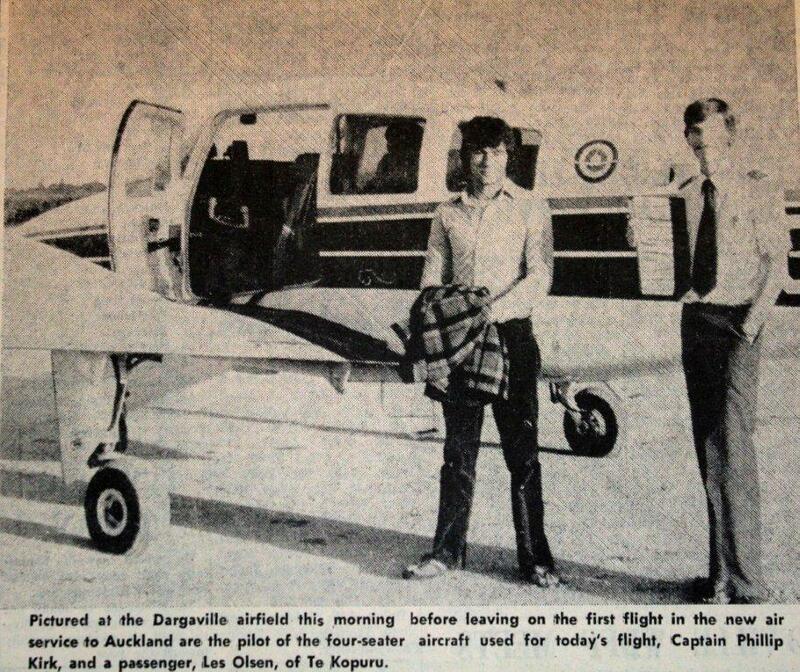 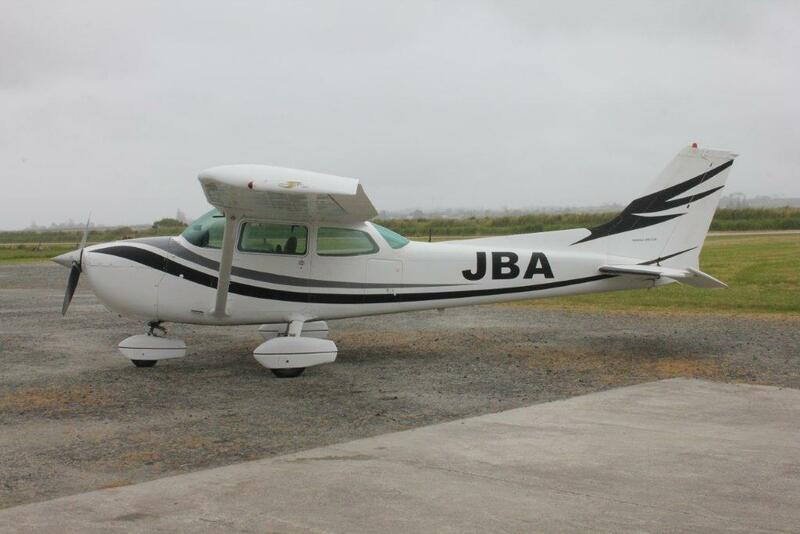 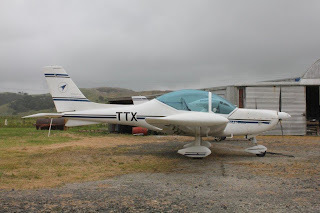 The first flight into Dargaville was flown by Philip Kirk in Beech 76 Duchess ZK-ECE with Les Olsen being the first passenger from Dargaville. 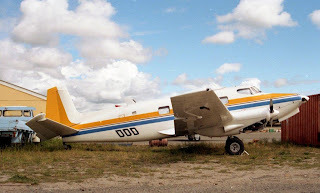 Beech Duchess ZK-ECE taken at Ardmore in September 1981. 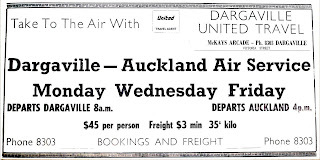 Changes were in the wind and on the 31st of July 1981 United Pacific Airlines approached the Auckland Aero Club expressing their interest in acquiring the goodwill of the air service operated by the Club between Auckland, Dargaville, Kaikohe and Kaitaia. 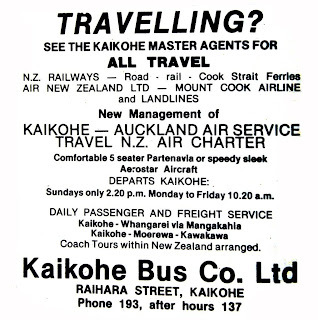 Negotiations proceeded over the next few months leading to an agreement being reached on the 29th of October 1981 whereby United Pacific acquired from the Club, subject to the Air Services Licensing Authority’s approval, NZ Air Charter’s scheduled service from Ardmore and Auckland International airports to Kaikohe on 3 return trips per week as well as the non-scheduled services from Ardmore and Auckland International to Dargaville and Kaikohe, and from Kaikohe to Kaitaia for the sum of $ 20,000. As part of the agreement the Club was obliged to provide United Pacific with a pilot and a six seat Partenavia, United Pacific having priority to the use of the aircraft. 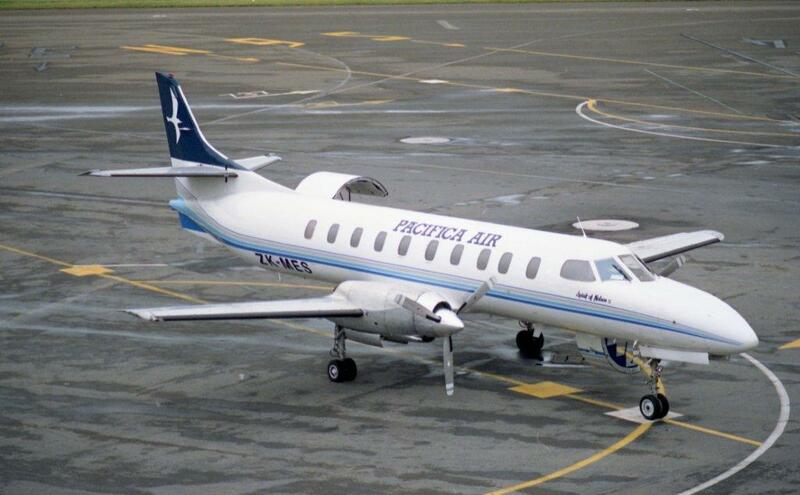 Application was made to the Air Services Licencing Authority for the transfer of licences to United Pacific and these were duly granted on the 1st of December 1981. 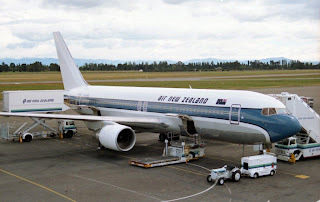 With the licences duly approved NZ Air Charter continued to operate their Northland service until the 11th of January 1982 when United Pacific Airlines took over. Piper Aztec ZK-DIO at Christchurch on 9 March 1985. 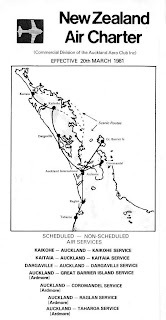 1960 - Still to be written - Have you any information, stories or photos that might help? Late 1960s - Still to be written - Have you any information, stories or photos that might help? 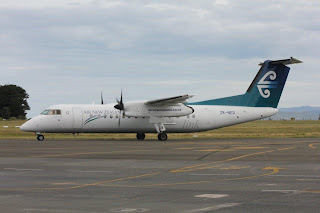 Having arrived at Christchurch from Brisbane on 06 November, the ATR flew circuits at Christchurch 12 November and the following day flew to Nelson, New Plymouth and Wellington before returning to the Garden City. On 14 November the ATR flew to Dunedin and back as NZ5973/5974. 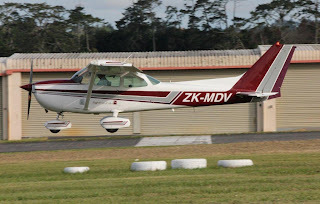 The second -600 series, ZK-MVB, is set to arrive in January 2013. 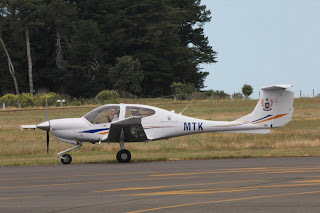 ZK-MVA made its first visits to Auckland over the weekend with an evening transit on Saturday and morning transit Sunday. My ride down to Gisborne was Air Nelson's Bombarider Q300 ZK-NED, seen arriving back in Gisborne a little later in the day. Photo taken at Gisborne on 15 November 2012 by S Lowe. 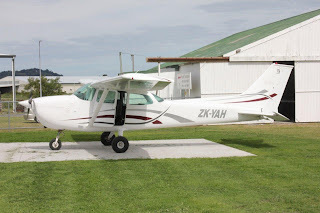 A couple of Cessna 172s - Above a classic A-model Cessna 172, ZK-BWL and below a more recent M-model, ZK-YAH. Photos taken at Gisborne on 15 November 2012 by S Lowe. Above, up from Hastings on a training flight was Piper PA38-112 Tomahawk ZK-EQB while Massey University's Diamond DA40 ZK-MTK (below) called in from Palmerston North. 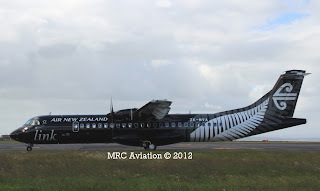 Photos taken at Gisborne on 15 November 2012 by S Lowe. Sunair Aztecs - Above the covered (grrrrrrrrrr) ZK-MTY now sports Sunair titles on the tail. 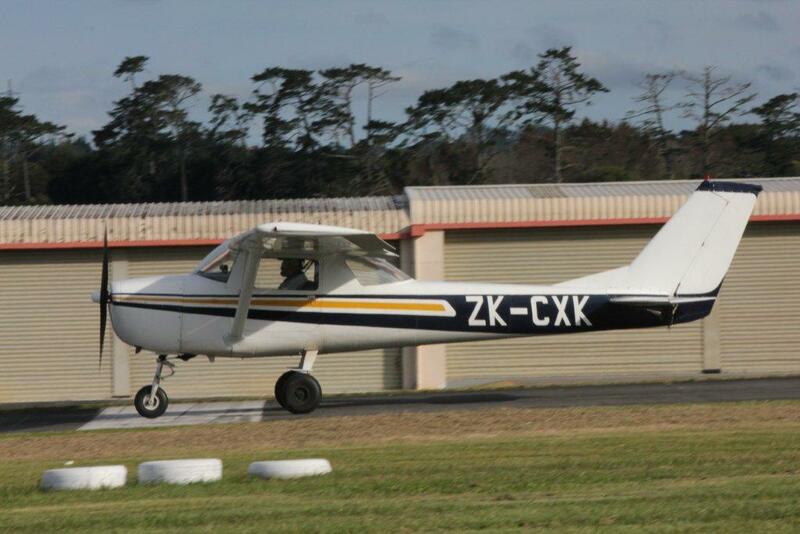 Below Aztec ZK-TDM on departure for Napier and Hamilton. 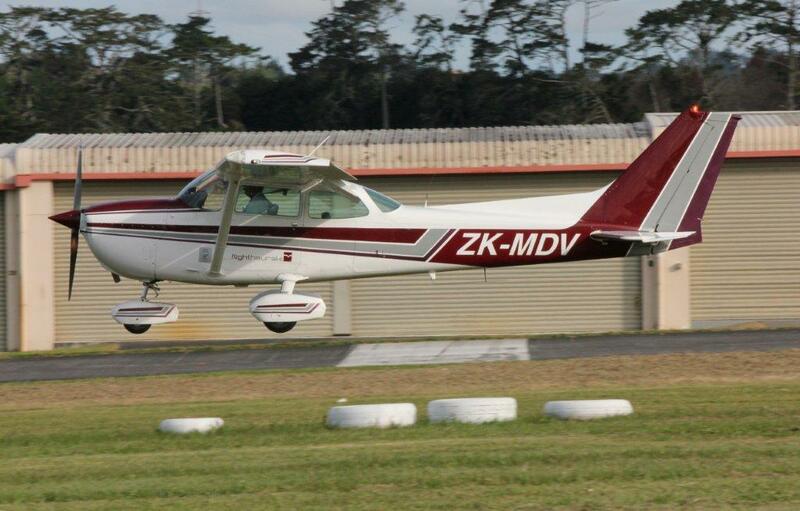 Photos taken at Gisborne on 15 November 2012 by S Lowe. 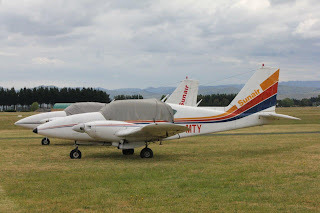 I was wrapped to get Air Gisborne's Piper Pa31-325 Panther ZK-SRC on engine run ups before departing on an air ambulance mission. Photos taken at Gisborne on 15 November 2012 by S Lowe. Above, my ride from Gisborne to Wairoa and Napier, Air Napier's Piper Pa31-310 Navajo ZK-NPR. 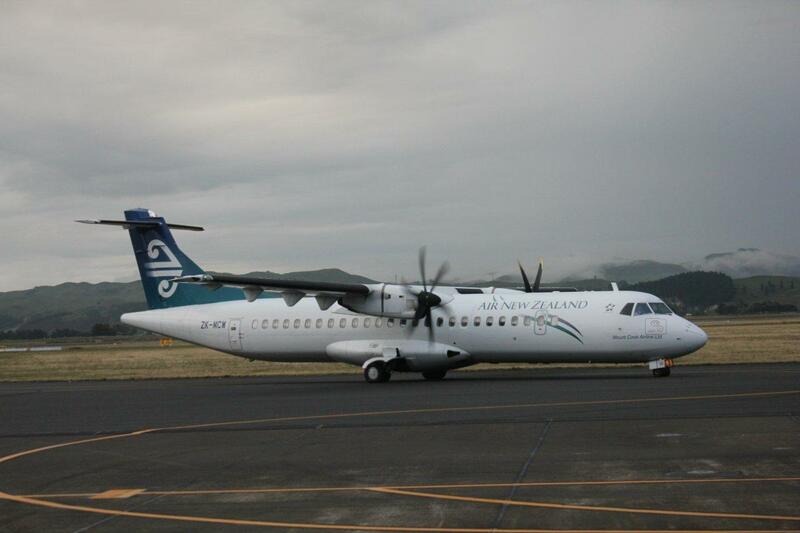 Photo taken at Gisborne on 15 November 2012 by S Lowe. 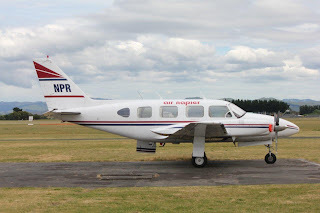 Below one of Air Napier's Piper Pa34 Senecas, ZK-WUG... 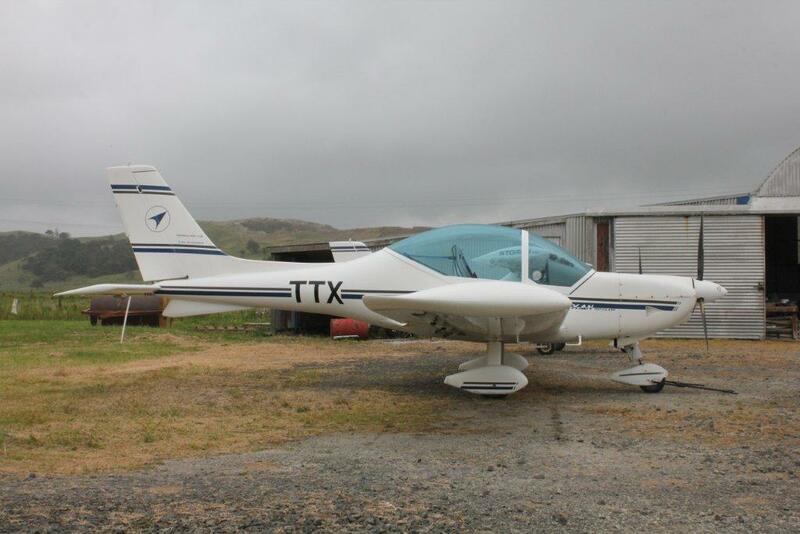 I have still to fly in a Seneca... Photo taken at Napier on 15 November 2012 by S Lowe. 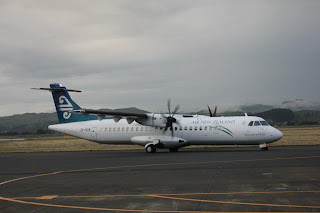 Departing Napier was AIr Nelson's Bombardier Q300 ZK-NES while arriving was my ride home, Mount Cook Airline's ATR72-500 ZK-MCW. 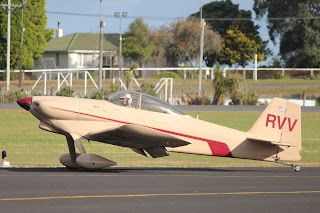 Photos taken at Napier on 15 November 2012 by S Lowe.